My family recently watched the movie The Star, an animated account of the birth of Jesus that highlights how three camels played an integral role in the birth of the Savior. Considering Sony produced it and Oprah played one of the camels, it was a decent account, that included even the struggle of the just man, Joseph, with the news of the pregnancy of his betrothed. A scene that peaked my interest portrayed Herod’s reaction to the arrival of the wise men from the east. Though there are several inaccuracies in the scene: only three wise men travelling alone, they arrive before the birth of Jesus, etc., I noticed particularly Herod’s furious reaction. The movie of course did not include a scene showing the ultimate result of this rage, the slaughter of many babies, but it did provide a lesson in the limitations of the evidence-based apologetic. A few years ago an acquaintance of mine, who was in college at the time, was beginning to fall away from the faith. He had grown up in a Christian family. Well before I met him he had been taught the vast amount of evidence which supports the Bible and even received focused instruction in worldview from a Christian perspective. I don’t know him well enough to know the particulars that caused his struggles. I have thought about it generally though: at university students are surrounded by temptations they have never before experienced while at the same time having their first taste of independence while at the same time learning from their esteemed professors the deficiencies, bigotries, etc. of Christianity. And, to process all of this, they mostly have only their peers who are going through the exact same thing. So, while being introduced to novel and exciting ways to sin which they have an internal desire to be justified in doing, they are given intellectual ammunition (at $1000 a credit hour or so) by mostly intellectually dishonest (and/or intellectually deficient) academics to help them in their journey away from the Christian faith. University is a great environment for the sin nature to develop and flourish. Knowing some about the struggles of this acquaintance and being excited by all I was learning in seminary I seized an opportunity one Christmas to show him the error of his ways by presenting a lesson on the many prophecies fulfilled by the birth of Jesus Christ. I was disappointed that the lesson seemed to not affect him or change his trajectory. In reality I likely mentioned stuff he had been taught before, and, just as likely, I probably did not present the lesson well. Regardless I find the prophetic witness surrounding the birth, life, death and resurrection of Christ to be the most impressive defense of Christianity. Just concerning the birth of Jesus it could be declared hundreds of years before: His virgin birth (Gen. 3:15; Is. 7:14), His tribe (Gen. 49:10; 2 Sam. 7:16), His place of birth (Mic. 5:2), and the time of His birth (Dan. 9:24-26). Of these evidences I most appreciate the last: Daniel’s prophecy precisely provides the time of the Messiah’s being “cut off”. The Bible Knowledge Commentary, Old Testament provides a handy chart that explains the first 69 weeks of Daniel’s 70 weeks. The calculations result in the 69th week ending on the day of Jesus’ Triumphal Entry in 33 A.D. It is after the 69 weeks that “Messiah shall be cut off” (Dan. 9:26 [NKJV]) and that the city (Jerusalem) will be destroyed. What Daniel says will take place after the 69th week is not concurrent with what he says will take place in the 70th week (v. 27). This passage of course not only provides strong evidence for the veracity of Scripture but also for the validity of the dispensational framework. The people living in the time of Jesus’ birth had access to this information. Someone could have calculated that the end of the 69th week was drawing near. But it does not appear that the scholars of that period spent much time noticing that the Messiah should be arriving soon. Luke does record that at least two people were anticipating Jesus’ birth: Simeon and Anna. They waited in the temple. 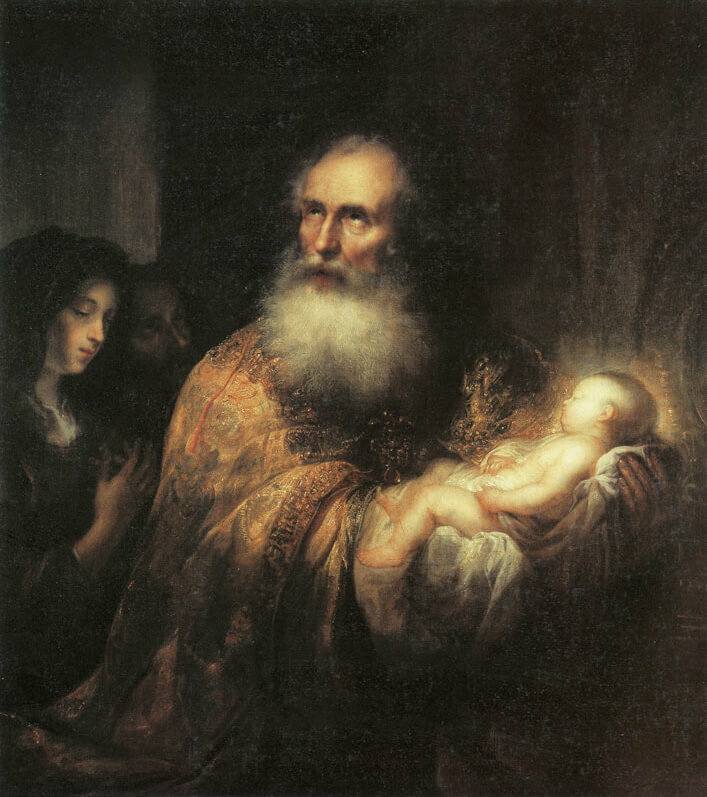 This is one clue that the wise men did not arrive before the birth of Jesus as they, too, could have just waited (along with Herod’s guards) in the temple for the dedication of the boy. Instead, the arrival of the wise men in Jerusalem greatly alarmed the city, especially Herod. 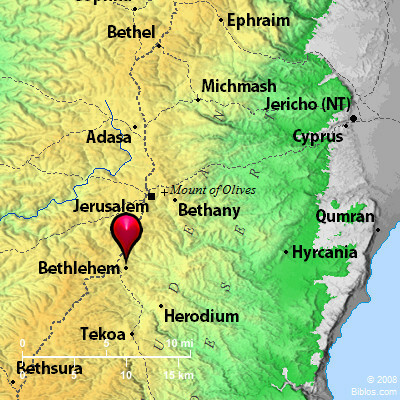 He consulted with the experts to find out the location of this potential rival and they readily told him: “‘In Bethlehem of Judea, for thus it is written by the prophet…’” (Mat. 2:5). Daniel provides a timeline, Micah provides a location, Luke records that some were waiting for the arrival of the king. Herod, the scribes, the chief priests all had access to this evidence and they had the ability to gain eye witness verification of it. But only the wise men made the short trip south to Bethlehem. 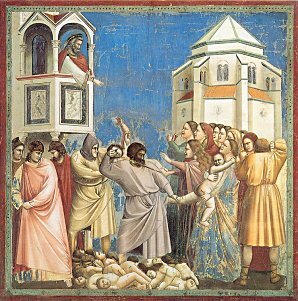 Herod arranged a slaughter. For Herod, the legal scholars and the scribes the issue was not that there just wasn’t enough evidence to convince them of the lordship of Jesus Christ. If it were a matter of evidence they would have readily joined the procession of the Magi bringing gifts of their own. Herod responded to the evidence by trying to kill it. The same is true today. If it were just a matter of evidence, everyone in the world would be a Christian. The example of Herod and many others highlights the limitation of relying solely on evidence to “prove” Christianity. This does not mean that it has no value. The Christmas season is a great time to witness to the miracle of the advent of Jesus Christ, that as the song says, “here within the manger lies, the one who made the starry skies. This baby born for sacrifice. Christ, the Messiah.” There will be plenty who, like Herod, will scoff and reject this message but others, like the shepherds, who will want to follow the evidence that leads to the manger, to the cross, to the empty tomb, and to our salvation.